In honor of 13th annual event and all things soulful, the Taste of Opportunity Pavilion will host a hiring fair that will allow TOSgoers to interview for a position at the festival and potentially be hired on the spot! The sponsor behind this new addition is, LeadersUp. In 2013, Jeffery Wallace became the founding executive director of LeadersUp, a non-profit organization that is working to tackle the issue of employment for youth of color (ages 16-24). 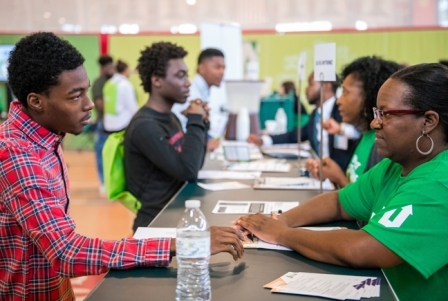 Similarly to Taste of Soul, LeadersUp believes African Americans and other marginalized communities deserve the best quality opportunity, which is why the organization is excited to bring their hiring event to TOS. “LeadersUp believes just like Taste of Soul and Mr. Bakewell’s leadership, that we have to take lead around importing opportunities into our communities. For us, joining the Taste of Soul family is significant because it [TOS] has already established [itself in] pieces of the community that represent Black excellence,” said LeadersUp president and CEO Wallace. According to Wallace, the Taste of Opportunity Pavilion will have 20-30 employers at the festival. Those employers will conduct interviews and make conditional offers to candidates who they are interested in on the spot. 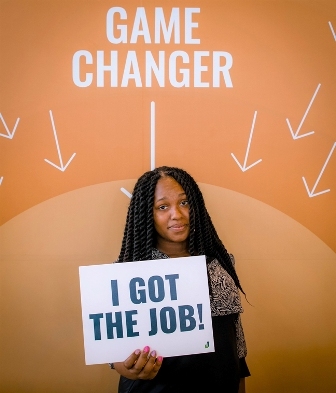 “Those who participate in the Taste of Opportunity hiring pavilion, 80 percent will walk away with a job. Our goal is to facilitate a minimum of 1,000 interviews that day with multiple companies,” said Wallace. Interested participants can prepare for the Taste of Opportunity Pavilion by participating in the organization’s career readiness training. You can also text “Los Angeles” to 64600 to receive the most current updates on trainings leading up to Taste of Soul. If you are not able to attend the training, LeadersUp encourages you to participate in a mock interview the day of the Taste of Soul festival prior to meeting with an employer. Aside from mock interviews, LeadersUp will also have a variety of job readiness stations including a place for participants to update and print out their resumes, a station for updating LinkedIn profiles. Pre­sentation is key when going to an interview, which is why LeadersUp will have a “dress for success experience” where event goers can borrow a sports jacket, blazer, a shirt and tie to help them look more professional. 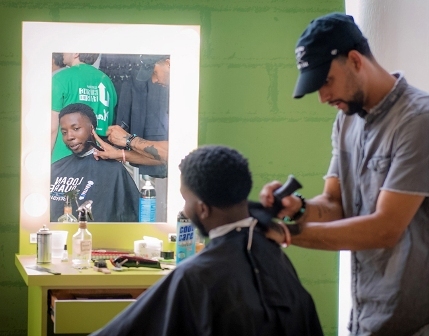 Additionally, LeadersUp will have barbers and hair stylist on site to help interviewees groom themselves before they meet employers. All of these services are free of charge. Come get hired at Taste of Soul! For interviewing tips, training sessions, and information on how-to build your elevator pitches check out LeadersUp online platform by visiting www.leadersup.org. The LeadersUp website also has a complete list of employers and the specific positions that will be available at the festival.